For new agents (under two years in the business), this mega-agent start-up plan is proven to get you at least one sale your first month in the business! Not only that, the training, scripts, and sales tips alone are worth thousands to you. In fact, in one month, you’ll be acting like a top producer. It takes many agents months just to get their first sale. By that time, they’re discouraged and out of money. It doesn’t have to end that way! 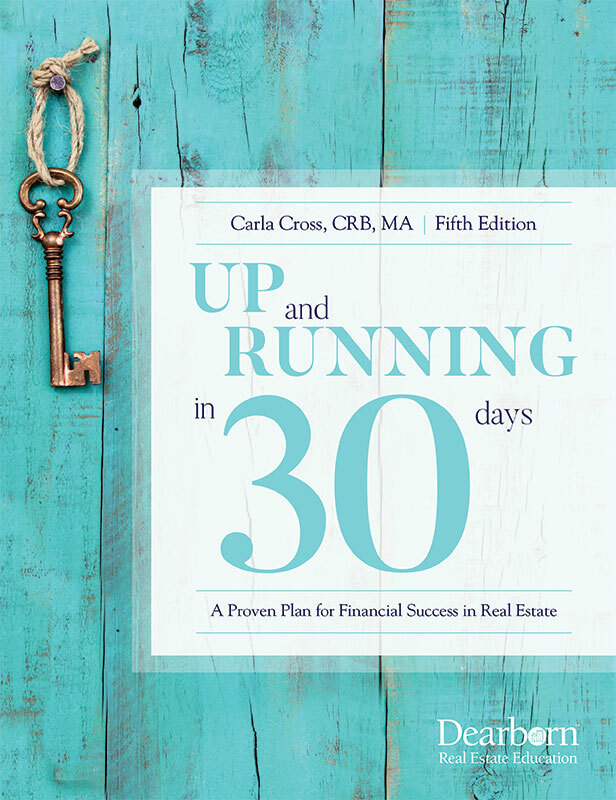 Created by Carla Cross, CRB, MA, coach and consultant to thousands of new agents, this proven start-up plan has been used by hundreds of thousands of new agents internationally to succeed. (Carla herself sold 40 homes her first full year in the business). Carla personally trained agents to become multi-million dollar producers their first year in the business using this plan. Warning: Don’t purchase this resource if you want to start slow! $32.95 plus shipping. Order now. Here’s Up and Running on steroids! See my new online training/coaching 8-week program, based on the information in Up and Running in 30 Days. Up and Running in Real Estate adds so much to this business start-up program. Plus, I’ve added a whole program to coach the coaches! See Up and Running in Real Estate. Watch the video now.